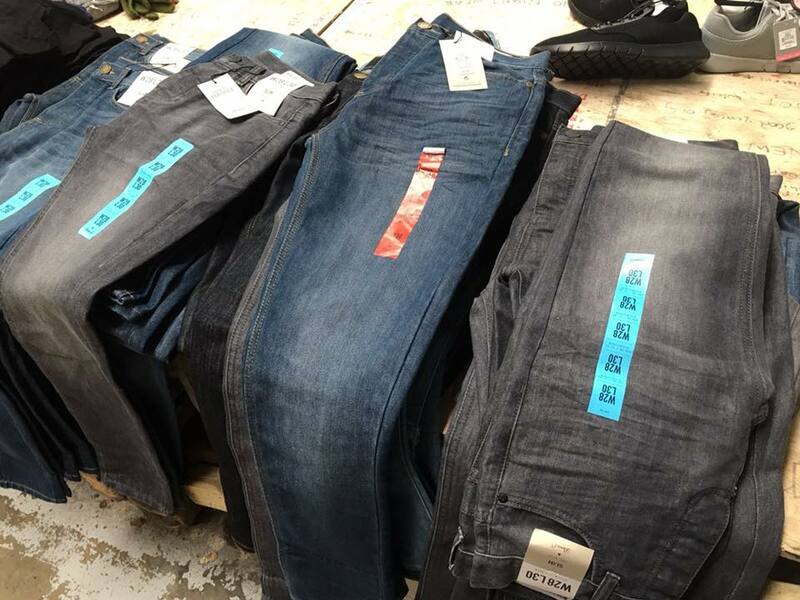 Today we had squeals of delight in our incoming donations corner, caused by the discovery of brand new primark jeans – in both small sizes AND skinny fit. In the UK this might not stop traffic, but in Calais it’s gold dust for two reasons. The first is our refugees are tiny and underfed, so many of the donated clothes are big on them. They may not have much but they are still young men who want their clothes to fit well and look ok; for us, to be able to provide this for once is great. Secondly, EId, the festival at the end of Ramadan, is coming up in two weeks time. Like Christmas is it traditional to wear new clothes on this day. Last year we saved up any new things we had, but this year times are hard and our volunteers are worried we have nothing new to give out. So finding these brilliant donations today is doubly good! We don’t know who sent them but whoever you are thank you so so much. We will take your gifts out on 15 June and they will brighten someone’s day in a very special way. Thank you for being so thoughtful and so kind. Please help us to make someone smile this Eid. Thank you.